Being involved in a truck accident is quite terrifying. Accidents involving trucks happen all too often here in Texas, because of the large size of these trucks, the outcome can be detrimental. Because truck drivers spend so many hours on the road, often the result is lack of sleep, which can lead to a slow-down in that driver’s response time. If you are involved in an accident you should first call the police. Regardless of the severity of the damage and injury, an official accident report should be filed. Check yourself thoroughly for injuries. It is very important to remember that often after an accident your body will be rushing with adrenaline. This adrenaline can cause a lapse in judgment regarding your well-being. Often, feelings of physical pain or discomfort are masked by the adrenaline that is rushing through your bloodstream. Your best option is to immediately seek medical attention to ensure you have not incurred any injuries, especially ones that could involve internal bleeding, etc. After checking yourself for injuries, you should check that no passengers or anyone else around you have incurred any serious injuries. If you are able and it is safe, you should take pictures of the accident from various angles. This includes all of the vehicles involved as well as the surroundings. 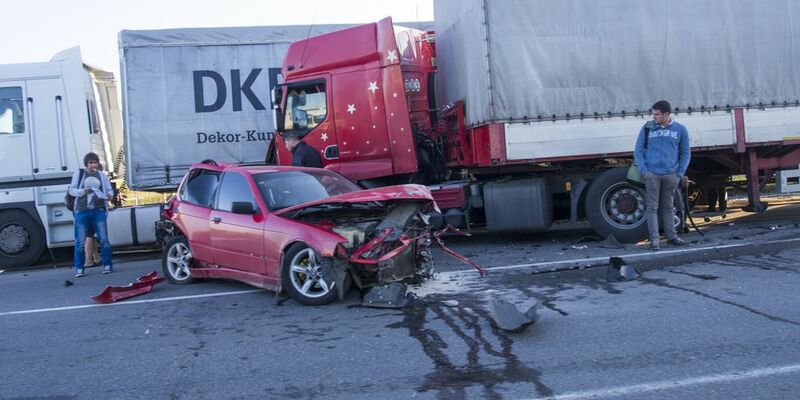 You will need to collect information about the other people involved in the accident. This includes names, addresses, phone numbers, insurance, and registration information, as well as the truck driver’s employer’s information. Make sure to get the contact information of any witnesses involved as well. You should contact your insurance provider as soon as possible to make a claim. They will often have detailed questions for you about the accident. The fresher the incident is in your memory, the better, to ensure you can adequately answer their questions. Here at Premier Injury Clinics of DFW, our team of knowledgeable and experienced chiropractic specialists are committed to providing quality healthcare for the victims of truck accidents and more. We also offer free transportation for those that have been injured in such accidents and have perhaps lost their means of personal transportation as a means to prioritize our patients and make their recovery experience less stressful. If you have any questions please don’t hesitate to contact us today or stop by one of our 5 convenient locations in the DFW area.